Kalamazoo College offers a broad range of financial aid opportunities for international students. Merit-based financial assistance is available to admitted applicants who demonstrate significant academic and co-curricular experiences. Need-based aid is granted to admitted applicants with demonstrated financial need. NOTE: Admission to Kalamazoo College is highly selective, and the competition for financial aid is more competitive the greater the applicant′s demonstrated financial need. Kalamazoo College offers a broad range of financial assistance to international students including merit-based and need-based awards. Kalamazoo College awards a limited number of full-tuition Global Leadership Scholarships (GLS) to incoming first-year international students each year. Scholarships are awarded based on academic merit and are renewed all four years, based on current cost of attendance. To be eligible for consideration, students must apply for admission by November 1 under either the Early Decision I or Early Action application programs. In addition to submitting the CommonApp and test scores (if applicable), students must complete an admission interview on or off campus to be eligible for the GLS. Skype interviews are also available. The Global Leadership Scholarship will be applied toward the cost of tuition. 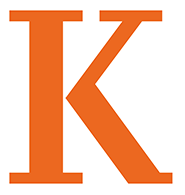 Recipients of the GLS are not eligible for additional merit scholarship from Kalamazoo College; however, they may be eligible for additional need-based aid. International students who would like to be considered for additional need-based aid must submit the International Student Financial Aid Application (ISFAA) along with their CommonApp and all supporting documents by the November 1 application deadline. For further information, please contact the Office of Admission, Rod Malcolm at roderick.malcolm@kzoo.edu. All students accepted to Kalamazoo are considered for merit-based scholarships. Awards range between $20,000 and $32,000 annually. Your application for admission acts as your scholarship application. Notification of awards will be mailed in conjunction with the admission decision. The Enlightened Leadership Award is a competitive, tuition-specific, $20,000 scholarship ($5,000 each year for up to 4 years) awarded to students who demonstrate significant achievement in music or theatre arts. Recipients must participate in ensembles and productions during their time at K, but are not required to major or minor in the arts. This scholarship is awarded to students who have achieved a high school grade point average of 3.0 or better and who have at least one grandparent, parent, step-parent or legal guardian classified as an alum of Kalamazoo College. The award is $5,000 renewable for a four-year period. The award is open to first-year, transfer and international applicants. Admitted international students who demonstrate financial need are eligible for need-based grants from Kalamazoo College. Financial need is assessed by the Financial Aid Office based on the information you and your family accurately and truthfully submit on the International Student Financial Aid Application. Admitted international students who demonstrate financial need are eligible to work on campus. Financial need is assessed by the Financial Aid Office based on the information you and your family accurately and truthfully submit on the International Student Financial Aid Application. To apply for financial assistance you must submit the International Student Financial Aid Application. This form must be submitted before your application for admission can be considered. Therefore we strongly encourage you to submit this at your earliest convenience. International students who do not apply for aid at the time of admission should not expect aid for the duration of their four years at Kalamazoo College. Financial aid awards covering the entire cost of attendance are extremely rare and very competitive.